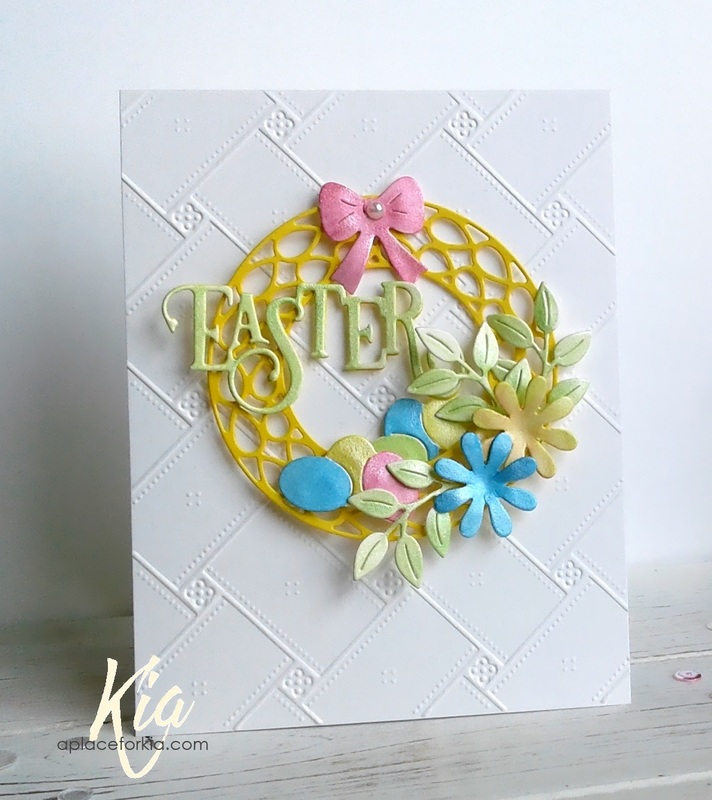 I love this Easter Wreath die and can see myself using this a lot, along with the goodies I attached to it. All of these dies are from the recent release called Vintage Easter. I started this card by embossing my card base with the matelasse folder. All of the dies I die cut from watercolour paper and painted with Kuretake Pearl paints. The dies are Bonnet Basket Treat Cup, Vintage Basket and Eggs, Modern Wreath and Elegant Happy Spring Easter Words. I styled all the dies before attaching them to the wreath, which is attached to the base on foam dots. I added a pearl to the bow to finish. Products: All dies are from Frantic Stamper, Cuttlebug Matelasse by Anna Griffin, Neenah Classic Crest Solar White Cardstock, Kuretake Pearl Paints, Foam Dots, Styler, Kaiser Pearl. 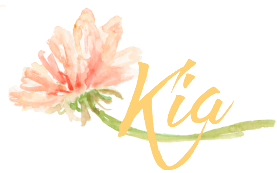 Another beautiful Easter creation, Kia. It makes the card look so nice when you color the cardstock yourself.